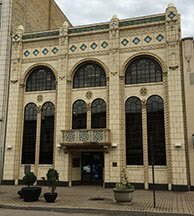 This ornate bank building, erected in 1928, has a history typical of many banks during the Great Depression. 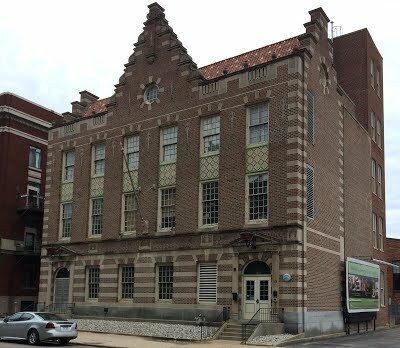 The building, however, shows none of this gloomy history and remains in use on Eighth Street as an eye-catching location for its current owners. 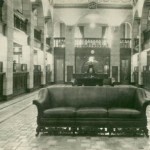 The third bank to open in Holland, People’s State Bank, was incorporated on September 5, 1905. 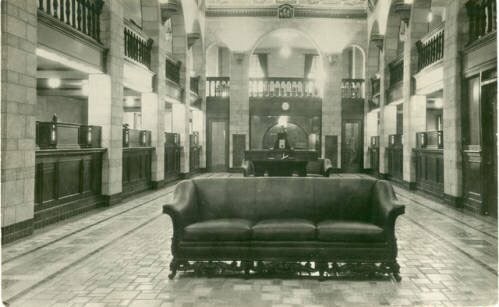 Originally located at 29 E. Eighth St. (currently part of The Outpost), the bank began looking for a new location in the 1920s. In 1925 the bank purchased the DeVries and Kooiker property on the South side of Eighth Street. By 1928, the construction and move were complete. The timing, however, was not ideal. The bank struggled throughout the Depression. 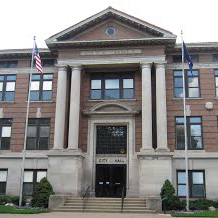 While the other two banks, First State and Holland City State, survived the Depression by merging, People’s State had to suspend operations in January 1932. A state bank examiner was appointed receiver and a depositors committee was formed to advise him through the process of liquidating the bank’s assets in order to reorganize the bank and compensate depositors. 1932 and early 1933 were spent on this task. Through this process, the bank was aided by the Reconstruction Finance Corporation, one of the agencies tasked with restoring financial stability to the nation. People’s State Bank continued to operate at the 36-38 E. Eighth St. location. The bank was acquired by Old Kent Bank of Grand Rapids in 1973. In 1980, the building received a one million dollar restoration. Old Kent was acquired by Fifth Third Bank, the current occupants of the building, in 2001. Built in 1928, the architectural style of the bank resembles Art Deco, with the geometric forms, lavish ornamentation and bright colors. More specifically, it is a reference to Italianate palaces, with the lions, braided columns and bifurcate windows, and Art Nouveau, with the flower motif and florid pattern near the roof and over the entrance.